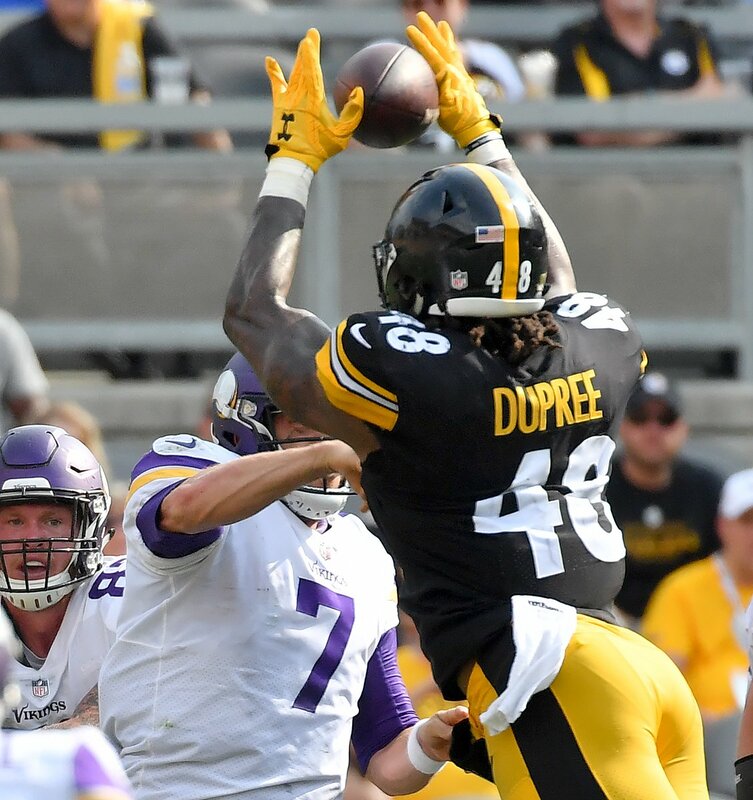 In what could be considered a workman like effort, the Steelers are 2-0 after a solid 26-9 win over the Minnesota Vikings in their home opener at Heinz Field. Ben Roethlisberger threw two first half touchdowns to pace the Steelers, who led 14-3 at the break before the Vikings closed it to 17-9 in the third quarter before the Steelers put the game away. Chris Boswell kicked four field goals in the win, two from 43 and 46 yards. The Steelers defense didn’t have to go up against Vikings QB Sam Bradford, as he was out for the contest with a knee injury. Instead Minnesota went with Case Keenum, and he was harassed all day by the Steelers pass rush. Overall the Steelers held Keenum to 20-for-37 passing for 167 yards. The Steelers only recorded two sacks, but the amount of pressure they put on forced a number of bad throws by Keenum as he was rushed out of the pocket a lot. Pittsburgh held the ball for 34:22 to 25:38 for the Vikings. After a couple back and forth drives, Roethlisberger hit wide out Martavis Bryant with a 27-yard touchdown pass to take a first quarter 7-0 lead. On the day Bryant caught three passes for 90 yards. They went up 14-0 as Roethlisberger threw a four-yard touchdown pass to JuJu Smith-Schuster, his first NFL touchdown and it looked like the black and gold was in control. They gave three back to the Vikings but went into the half up 11 at 14-3. The second half saw the Steelers get a field goal to go up 17-3, but then Vikings fullback C.J. Ham scored a touchdown from a yard out after a Vikings drive to make it 17-9. Minnesota missed the extra point. The Steelers put three more field goal drives together to close out the scoring at 26-9, keeping Minnesota in check the rest of the day. The run game was much better than last week against the Browns, as Le’Veon Bell was given plenty of chances, and ended the day with 87 yards. It wasn’t a perfect effort by any means, the team did little on third downs, going 3-for-13 and could have scored a lot more points if they would have made some plays. Before the matchup, the Steelers honored Dan Rooney with a video tribute at Heinz Field, and with the way the defense played Sunday it was much like old school football – something that Rooney would have loved. Now at 2-0 the Steelers travel to Chicago next Sunday to play the Bears, who are 0-2 after losses to the Falcons and Bucs. Be the first to comment on "Steelers Cruise Past Vikings 26-9 to Move to 2-0"